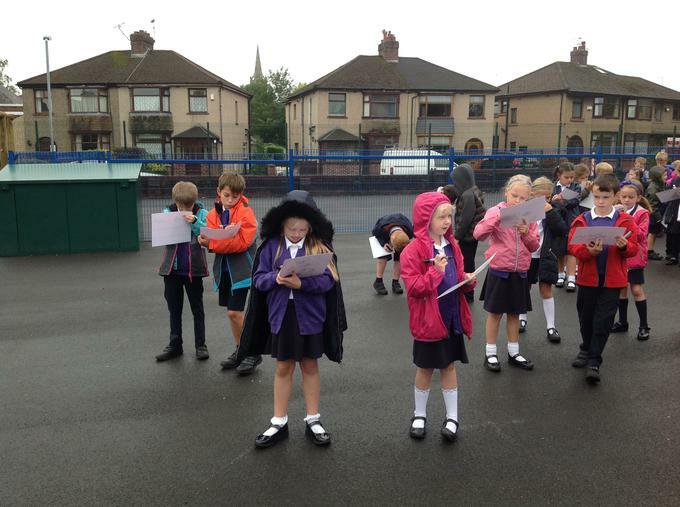 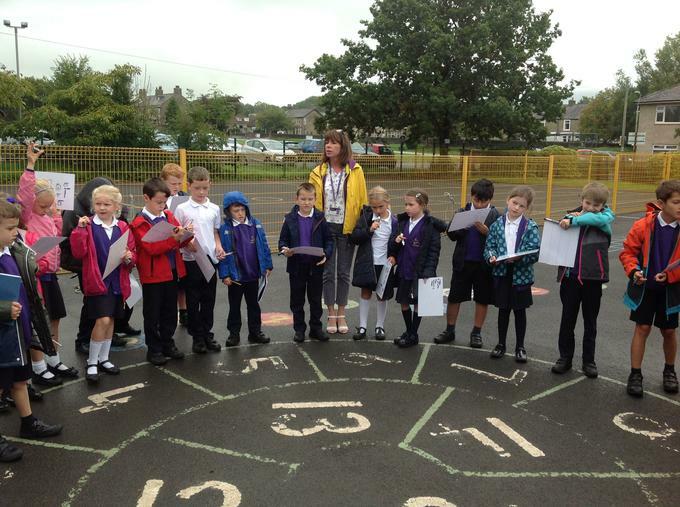 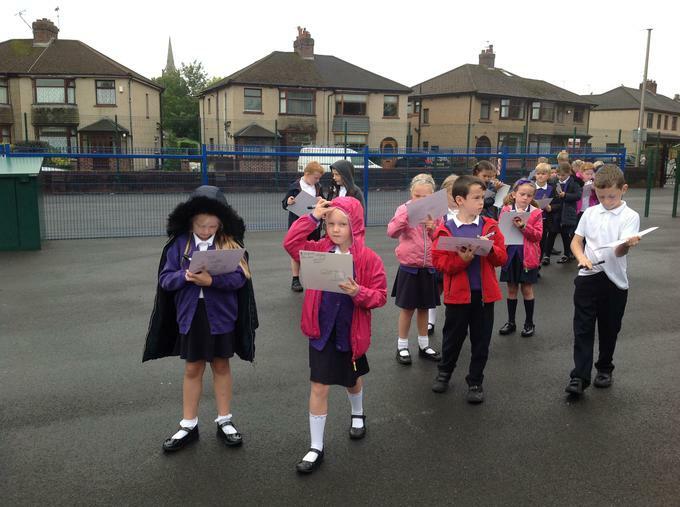 We really enjoyed our Maths outdoor learning activity. 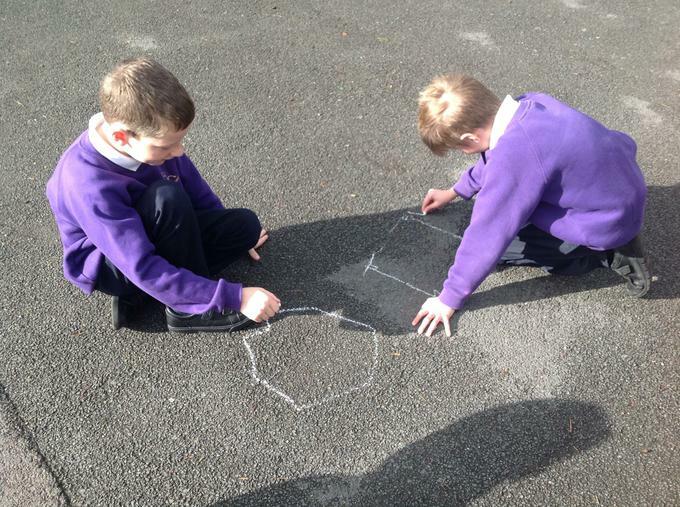 We went outside onto the playground with chalk and our task was to draw lots of 2D shapes. 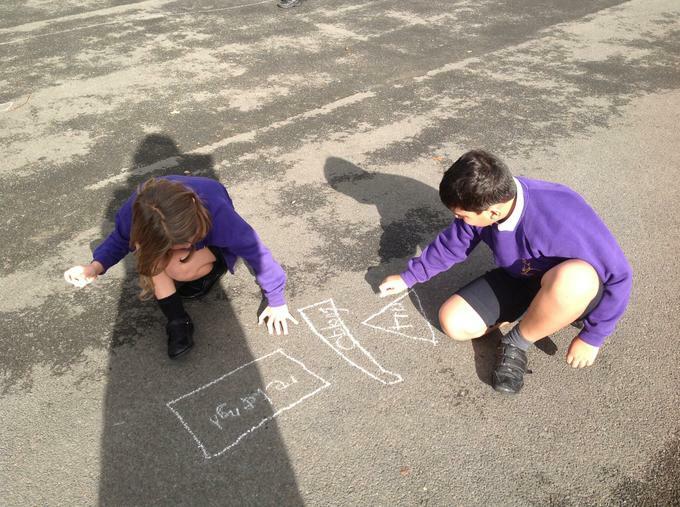 This was a lot of fun and very different to drawing on paper in the classroom! 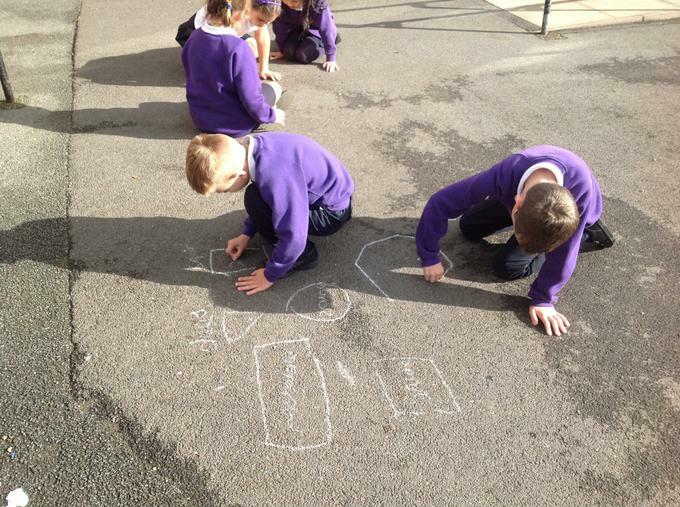 We really enjoyed this outdoor learning activity! 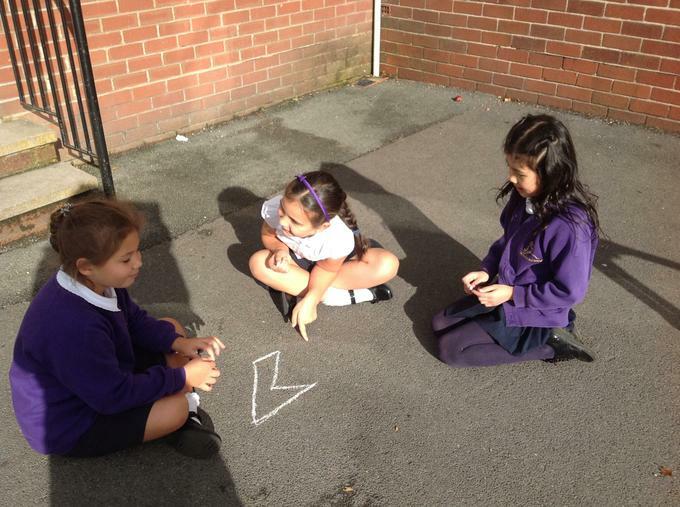 We went on a hunt for 2D and 3D shapes around the school building and grounds. 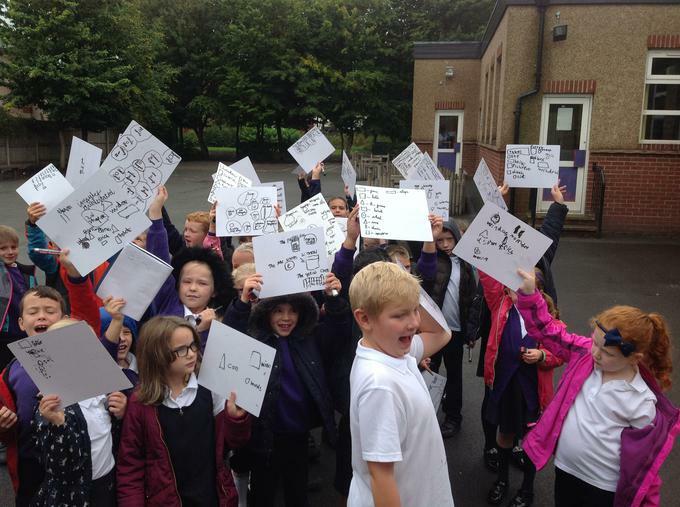 Wow we didn't realise there would be so many! 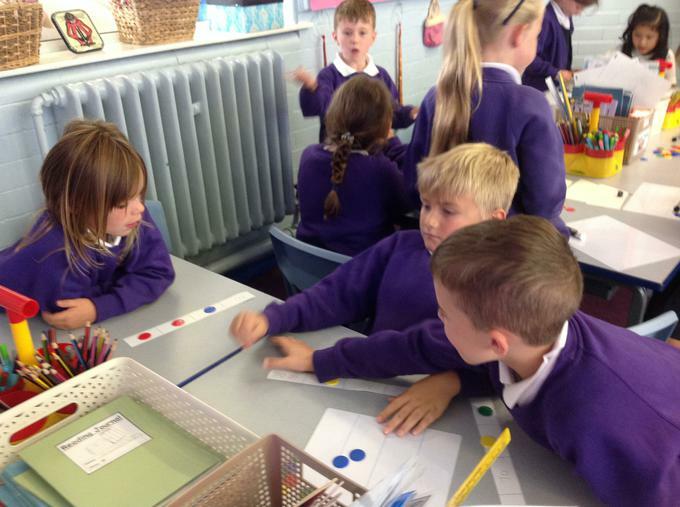 This week we played place value bingo. 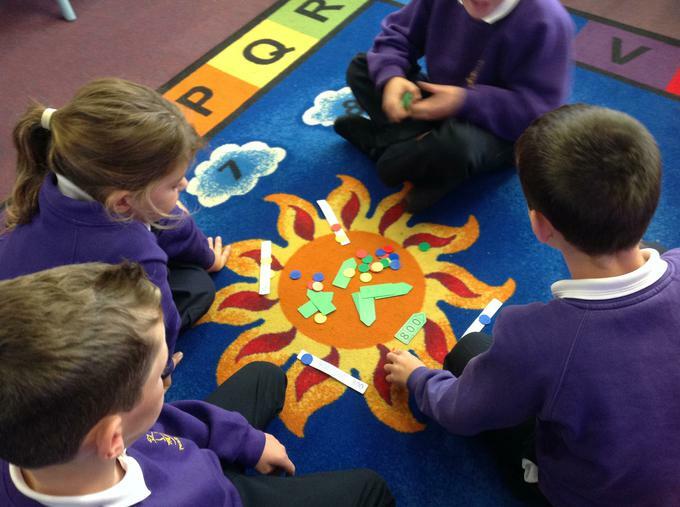 We really enjoyed this activity and discovered that it really helped with our understanding. 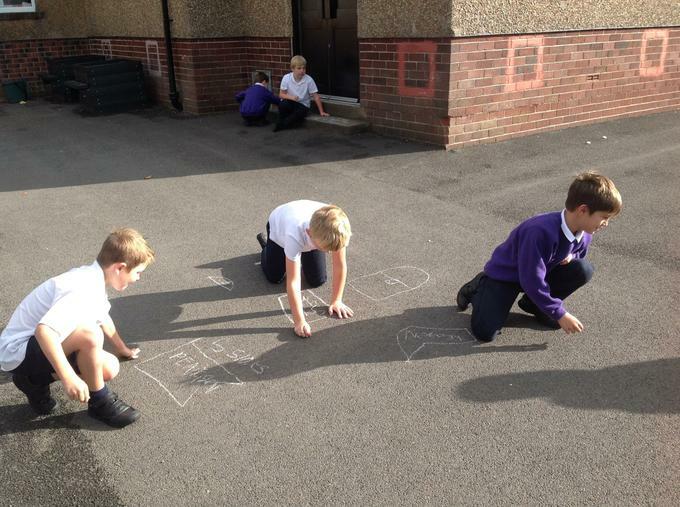 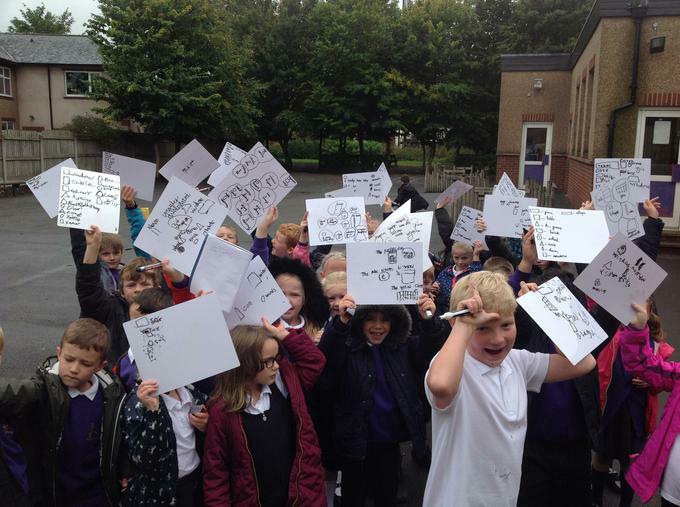 As part of our focus on Place Value we went outside to make 2 and 3 digit numbers and order them. 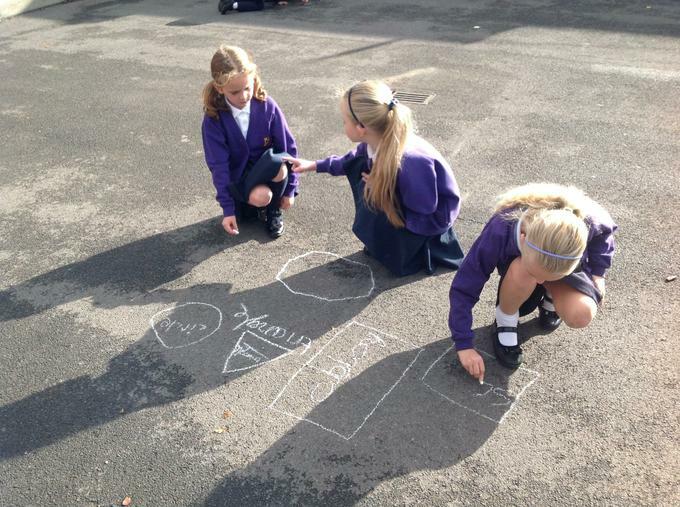 We really enjoyed this practical outdoor learning activity!